it's Jaymie and today is my DT day here at Jaded Blossom. Today I am going to share a birthday treat I made for my friend Abby using the NEW Birthday Treat Tags and the Mini Tag Dies. If you'd like to hop a long and wish her a Happy Birthday, you can visit Candace's blog here! 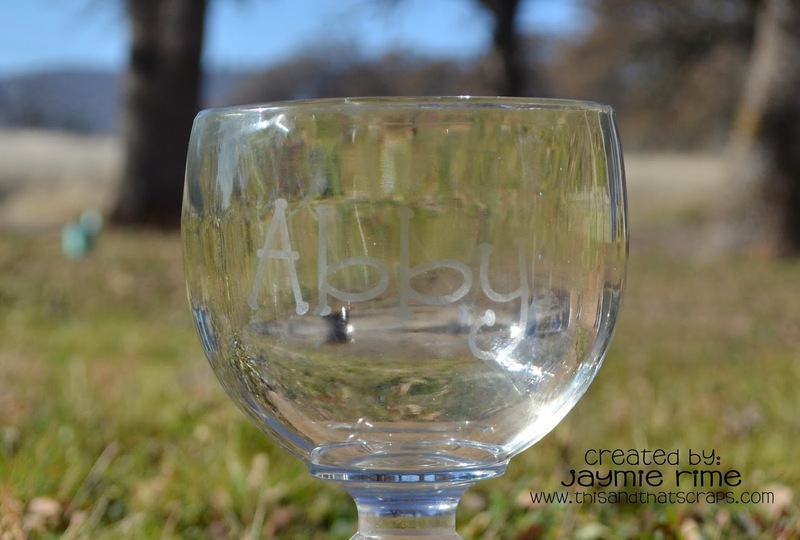 I bought this HUGE margarita glass and etched Abby's name on it. 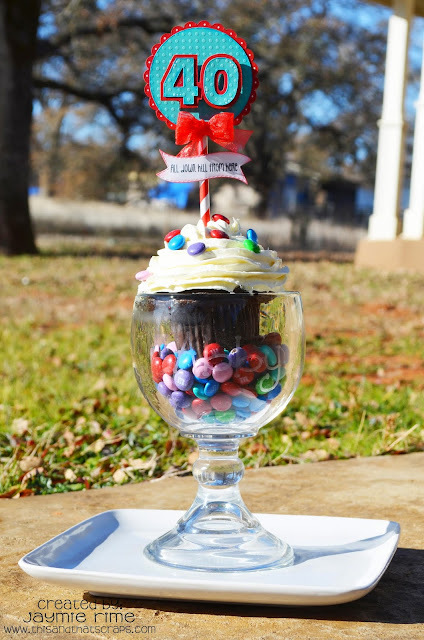 I filled the bottom of the glass with some M&Ms and filled with a jumbo cupcake! 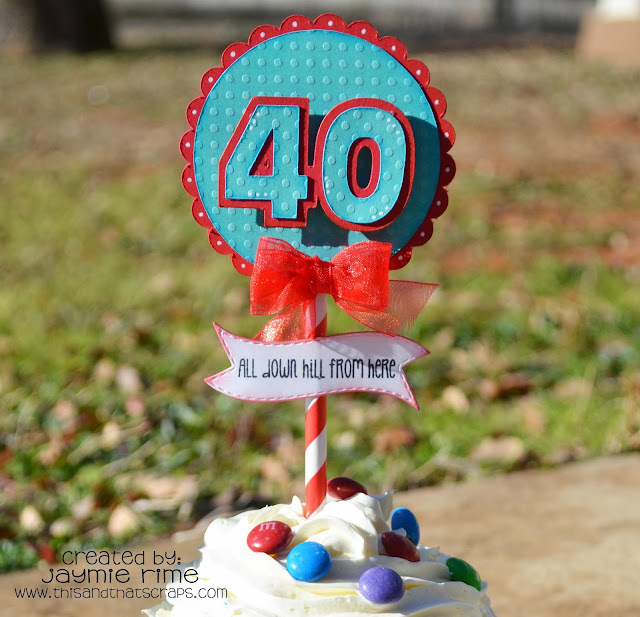 I created the cupcake topper using some of her favorite colors and of course a big 40!! The sentiment is off of Jaded Blossom's Birthday Treat Tags set. I masked it off of the Over the Hill tag. I stamped it on one of tags from their Mini Tag Dies set. Thanks for stopping by, and I hope you all had a very MERRY CHRISTMAS! So fun and festive! And yummy too!